Pictured above, the Italian culinary equivalent of an edible diamond: the white truffle (this handful here is worth 300 Euros!). Truffle season and its many festivals and feasts are upon us (it’s November). Truffles are found throughout central and northern Italy, mainly in the regions of Umbria, Tuscany, Piedmont, and Marche. 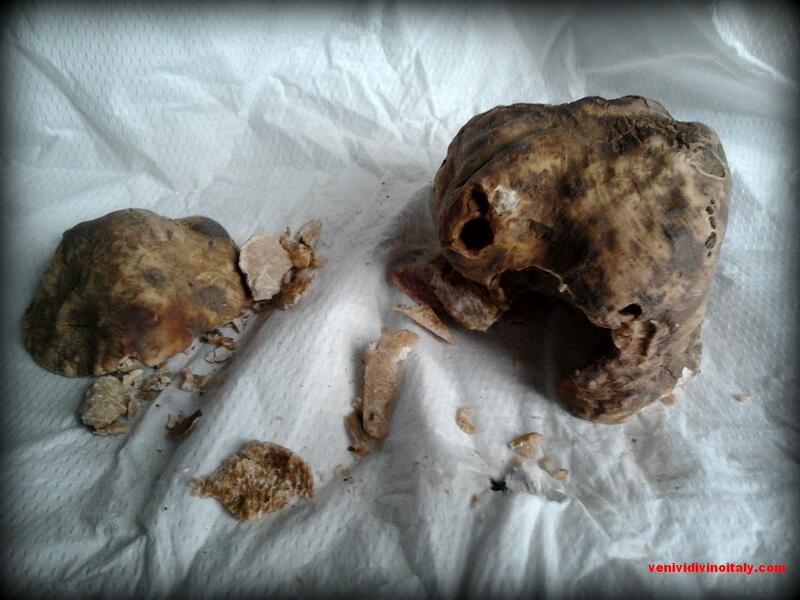 The name in Italian is tartufo, and it derives from the Latin name tuber, meaning something like “lump”. Truffles come in two main types, black and white, with the white truffle being the more valuable one. Bring large pot of water to boil, add salt to boiling water and then add pasta. Tip: waiting until water is boiling to add the salt as opposed to boiling already salted water speeds up the process! Cook pasta according to the cook time on the package, usually between 7-9 minutes. Aim for al dente (=cooked but still firm) to avoid overcooked pasta noodles, which become a sticky tangled mess. Remove pot from heat at this point and drain. Add butter to pasta and stir until melted – or add olive oil (as much as needed). Add grated Parmigiano-Reggiano (about half a cup or 40 grams) and then add salt and pepper to taste. Serve pasta on plates and use a grater to add a generous amount of shavings of truffle on top of each plate. Tip: Clean your fresh white truffle first by brushing off any dirt. Do NOT wash it off in water like you would veggies! *Fresh truffles and portions of unused truffle should be stored in paper towel (as in the picture above) and inside a glass jar or plastic container in your refrigerator. Change the paper towel daily. **A cheaper version of this recipe can be achieved by using white truffle infused olive oil as a final condiment poured on top rather than freshly shaved truffle. Suggested Wine Buddies for White Truffle based dishes: Truffles have a very earthy flavor to them and go best with bold reds that gain earthy, foresty, flavors in them as they evolve. A mature Barolo, Barbaresco, Barbera d’Alba, Nebbiolo d’Alba or Dolcetto (Dogliani) – all from Piedmont – are the best suggestions as far as Italian wines go. If white wine is your grape juice of choice, try pairing white truffle with a Chardonnay from the Langhe area or a Timorasso white from Piedmont or from the Lugana region. This entry was posted in Food & Wine Buddies and tagged Barbaresco, Barolo, Chardonnay, Food and Wine pairing, Italian food, Italian recipe, Italian Wine, Italian wine and food pairing, Italy, Piedmont, Truffle Recipe, Truffles, Tuscany, Umbria, Vino, White Truffle Pasta, White Truffles. Bookmark the permalink. The Pasta with White Truffle sound DIVINE! 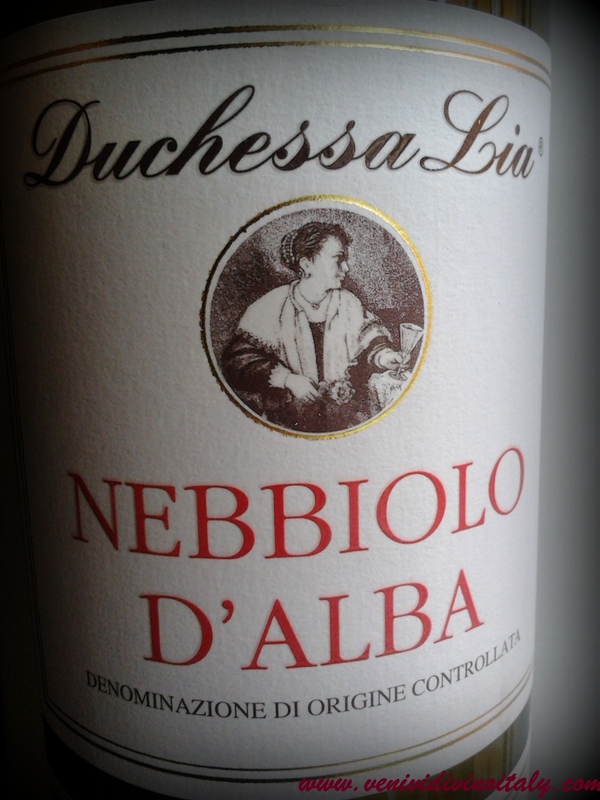 Several years ago we had the best truffle dish paired with Barbera d’Alba in Novello, Piedmont. Can’t wait to go back for a visit.